Drinking from the Fountain of Youth! Enjoying 10,000 year old water freshly melting from the glacier above. Water just doesn’t get any better than this! Bottoms Up! Midnight Sun Excursions is on KHNS! A few weeks ago I was asked to be interviewed by KHNS, our local radio station, since I was starting Midnight Sun Excursions and making my 20 year dream come true! Over a million people will visit Skagway this summer on their Alaska cruise! You may be one in a million that has already booked a cruise to Alaska this summer. This means you will more than likely be visiting Skagway and wondering what to do with your time in this little one mile town. My advise? Book an excursion with us! Leave the crowds behind and venture off into the last frontier and experience what Alaska is all about! As spring comes closer people are looking forward to a summer vacation. Many of those people are planning their “trip of a lifetime” with a cruise to Alaska. If you are one of those people you may not realize how close you will be to the magnificent and breathtaking Yukon Territory. If you are visiting Skagway join me for an adventure into an unforgettable landscape of untamed wilderness. Here is a map of the grand metropolis of Skagway! As you can see, it is very hard to get lost here. One mile of paradise! Facebook page is up and running, check it out! Like it and share it! Don't miss this excellent experience. Raymie was a great guide, she was well prepared for our family of 14, ages 6 to 77. She had binoculars, a scope and activities for the younger ones. We were able to spend as much time as we wanted at various stops. She even filtered glacier water for us to enjoy. I had a really great tour today! 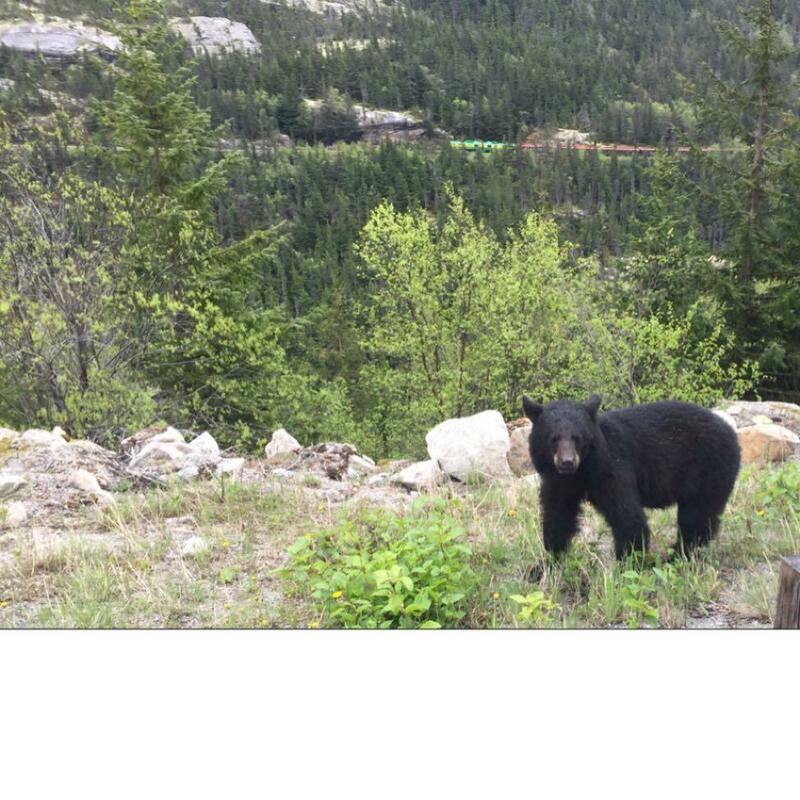 As we were passing the White Pass and Yukon Route train on the opposite side of the valley, a black bear crossed the road right in front of our bus! Happy 2017! We are taking reservations for this coming summer. Book an adventure to the Yukon! 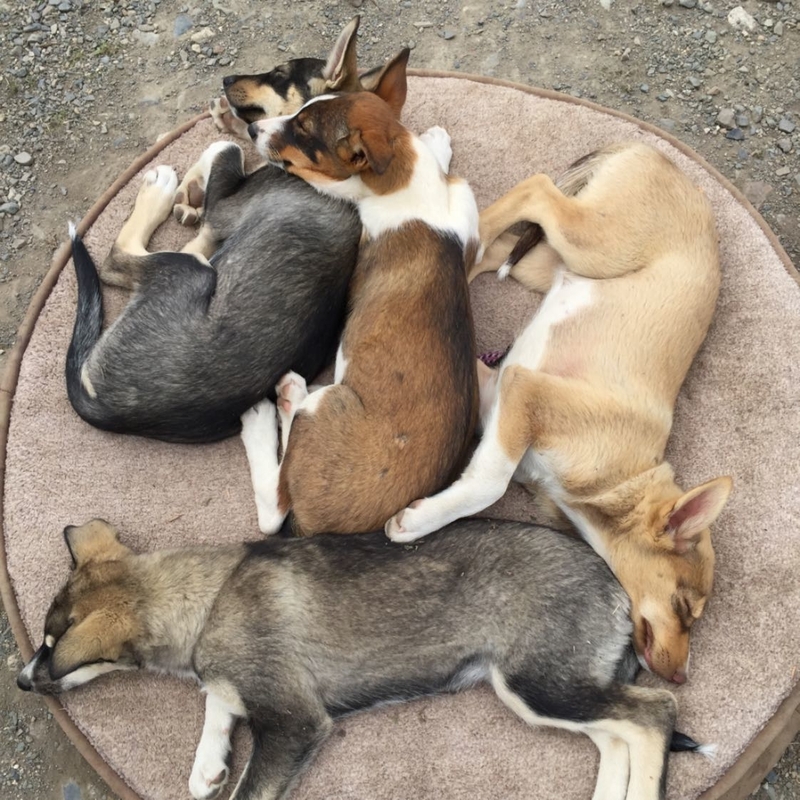 The puppies at Tutshi Sled Dog Camp are getting so big, yet still so snuggly! Get some puppy lovin!!!! 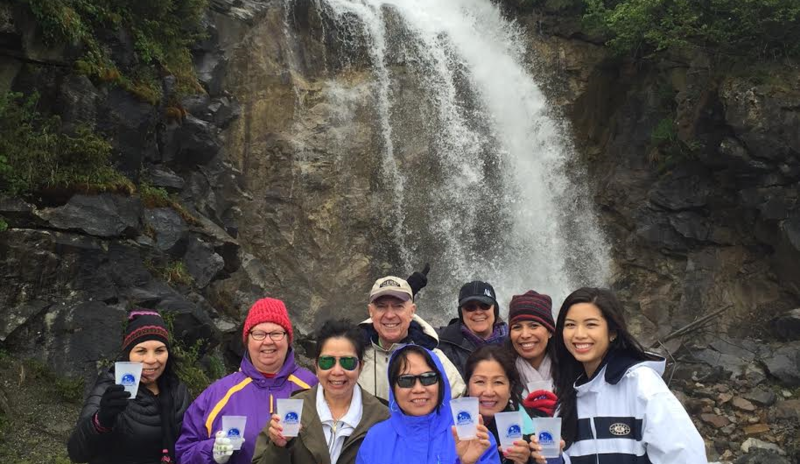 We are a small company based in Skagway, Alaska offering outstanding sightseeing tours and private excursions.